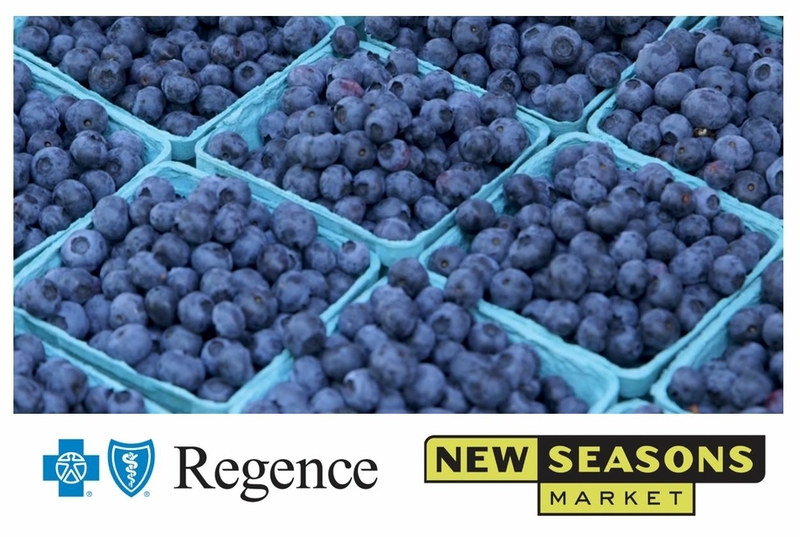 PORTLAND, Ore. – Today, New Seasons Market and Regence BlueCross BlueShield of Oregon announced a joint contribution to the Farmers Market Fund to boost Supplemental Nutrition Assistance Program (SNAP) benefits at farmers markets across Oregon. The $20,000 grant will go to the Double Up Food Bucks program, which gives Oregon SNAP recipients a dollar-for-dollar cash match up to $10 per day to purchase nutritious, locally grown fruits and vegetables at participating farmers markets. SNAP matching at farmers markets is a triple win for Oregon: low income families have buying power for nutritious fresh food, local farmers increase their sales, and a greater portion of food dollars remain in Oregon’s economy. When local and federal funding behind the program ended in early 2018, Farmers Market Fund asked local foundations and corporations to step in and continue the funding for farmers markets around the state, particularly in the Portland metro area, Willamette Valley, Oregon Coast, Southern Oregon, and Northeast region of the state. Last season, 91 percent of the participants said the amount of fruits and vegetables they consume increased as a result of Double Up Food Bucks, and 87 percent said the amount of times they visited a farmers market increased. Farmers feel the impact too: 71 percent of farmers reported making more money because of the SNAP matching program. Visit your local farmers market this week. Strawberries are in season! For a list of all farmers markets across Oregon that offer SNAP matching, visit http://farmersmarketfund.org/programs/dufb/participatingmarkets/. New Seasons Market is a West Coast neighborhood grocer with a people-first culture that builds and sustains relationships for the greater good. The world’s first B Corp grocery store, the company places as much value on taking care of its staff, its community and the environment as it does on growing and operating its business. A respected champion of the regional food economy, it partners with farmers, ranchers and producers to deliver the best of the region, and pairs local, organic favorites with grocery classics to offer customers choice, value and flexibility. Founded in 2000, New Seasons has 21 neighborhood stores in Washington, Oregon and California, as well as four New Leaf Community Market locations in Northern California, and commits 10 percent of its after-tax profits back to the communities it serves. For more information, visit www.newseasonsmarket.com.